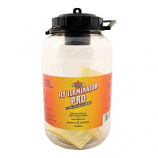 Captures over 35000 flies. Rust-proof top for year-round durability. Insecticide free. Reusable. Made in the usa. Easily covers walls and other surfaces in and around dairy swine and poultry operations and other livestock facilities. 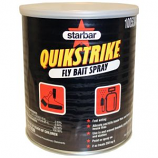 Attracting and quickly killing house flies in hard-to-reach places where scatter baits cant reach. . . .